Hey, pretties! 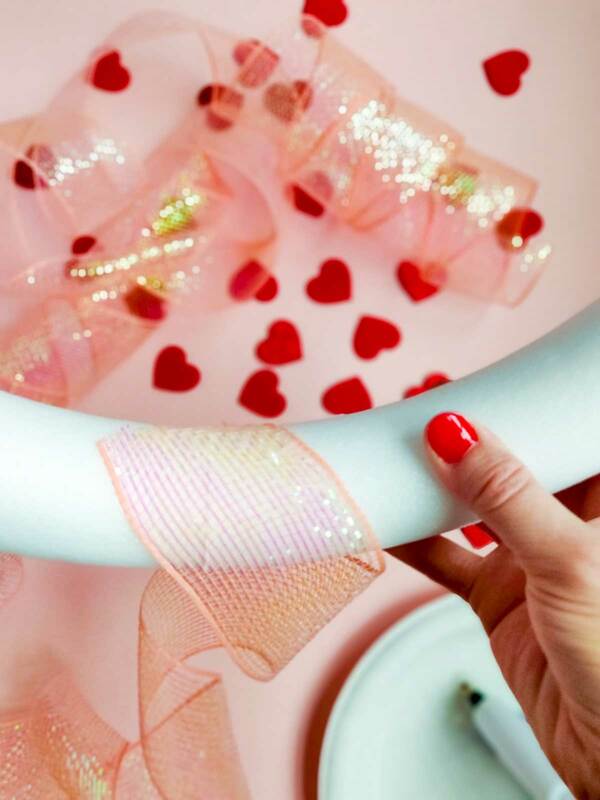 Are you a Valentine’s Day lover or nah? February is one of my favorite months. I totally dig the abundance of pink and red hues, so I’m loving this time of year! 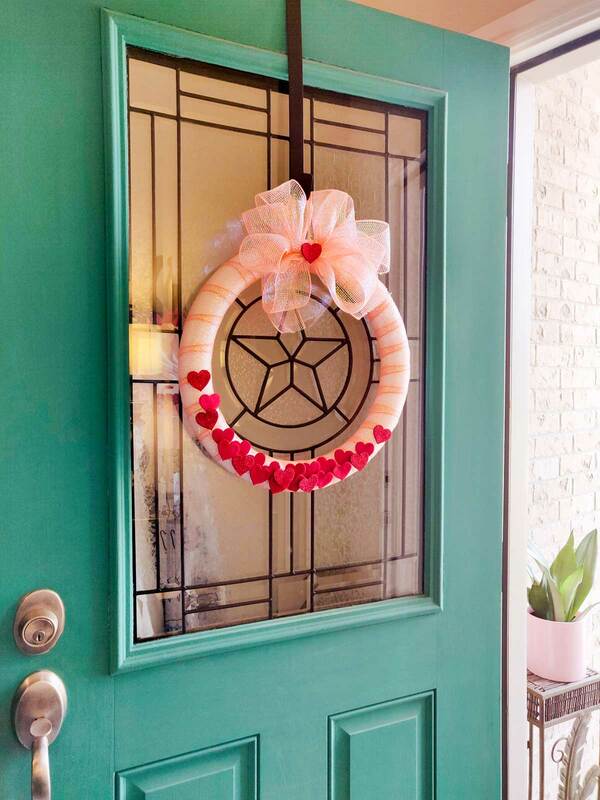 I made this pretty in pink confetti wreath to display on our front door to share my love for the holiday. You only need a few items to complete this project. Check it out! 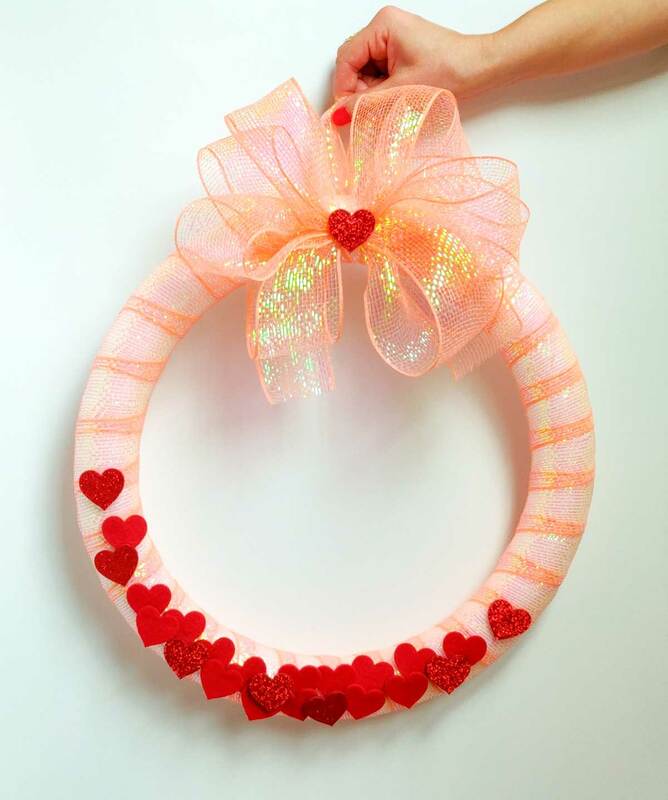 Start by wrapping your wreath with your ribbon. You want to position it at an angle like pictured here. This makes the ribbon way easier to work with while wrapping. Use hot glue to secure it down first. 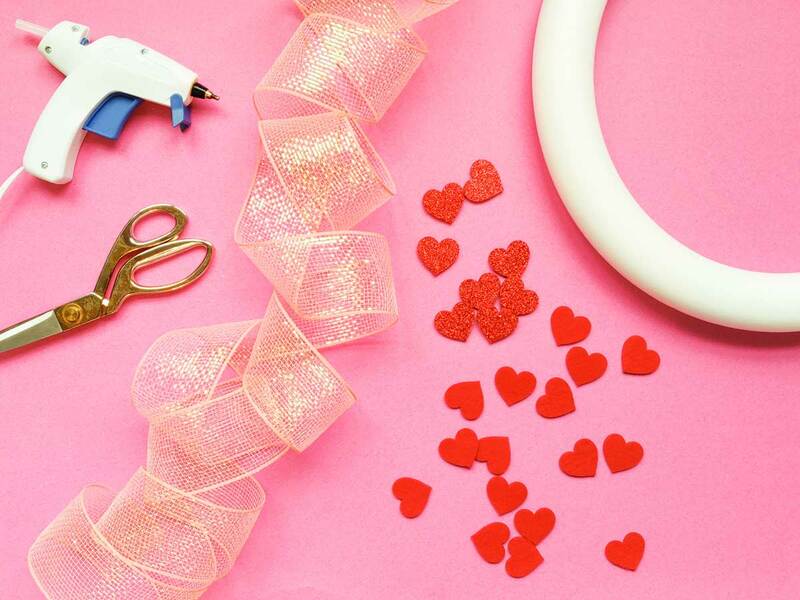 If you’re using mesh ribbon like mine, be careful not to burn yourself through the holes with your glue! Continue wrapping your ribbon completely around your wreath overlapping close to the edges of each wrap. Make sure you’re covering up all that white foam, front and back. It’s fully covered and already looking super cute. 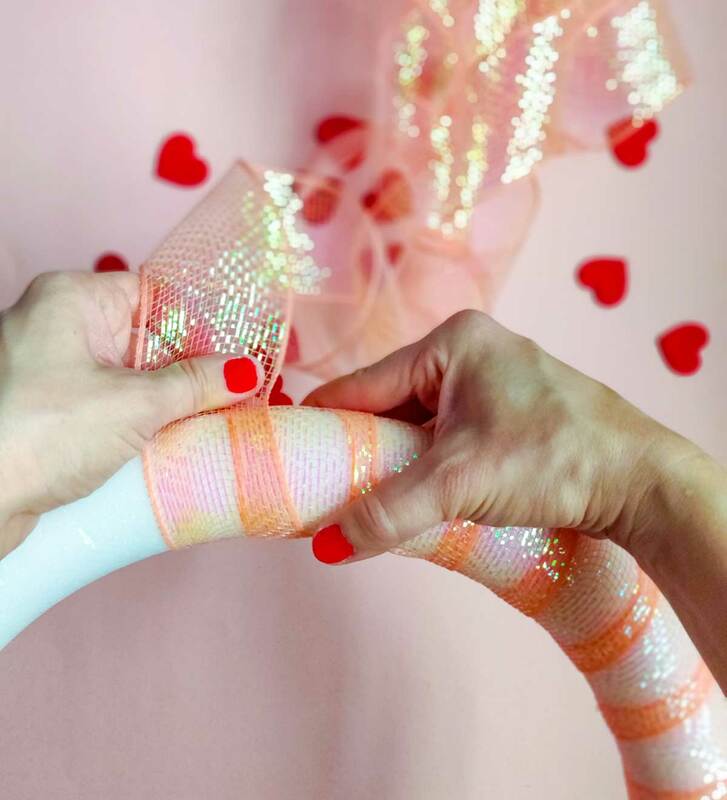 Now let’s attach the bow, then glue on our confetti hearts! 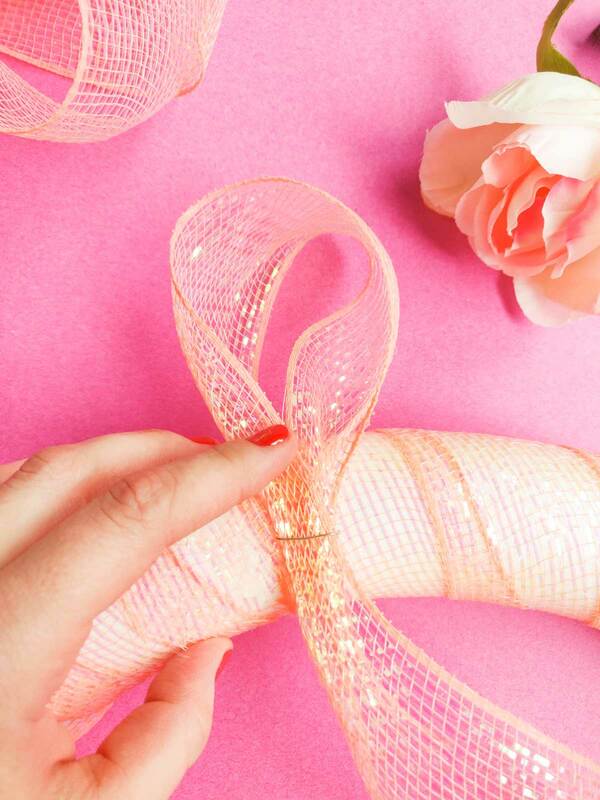 Take a small piece of floral wire and bend it like a staple as shown below. TIP: If you don’t have any wire, you can cut some out of an artificial flower. I actually snagged just enough from one of my faux leaf stems. 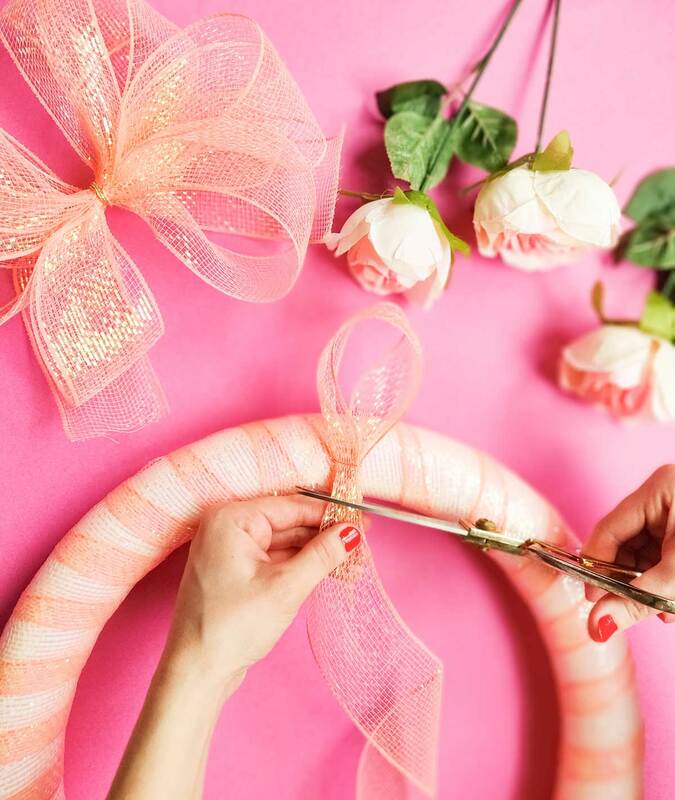 To make the hanger, loop some ribbon and hold it in place on the back of your wreath. Insert your wire over the bunched ribbon and through the foam. Once it’s snug, use hot glue to secure it even more. 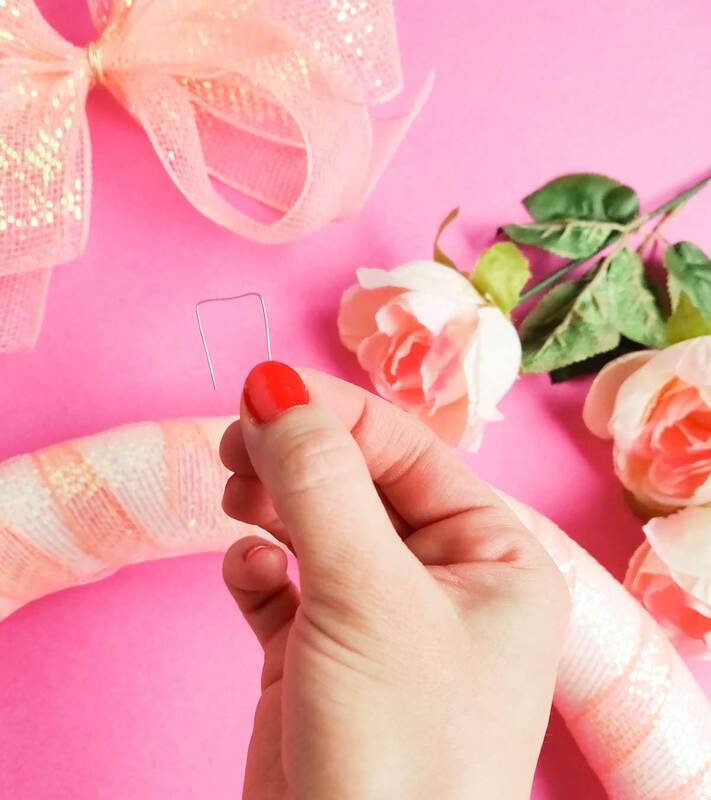 Cut off the excess ribbon like here! 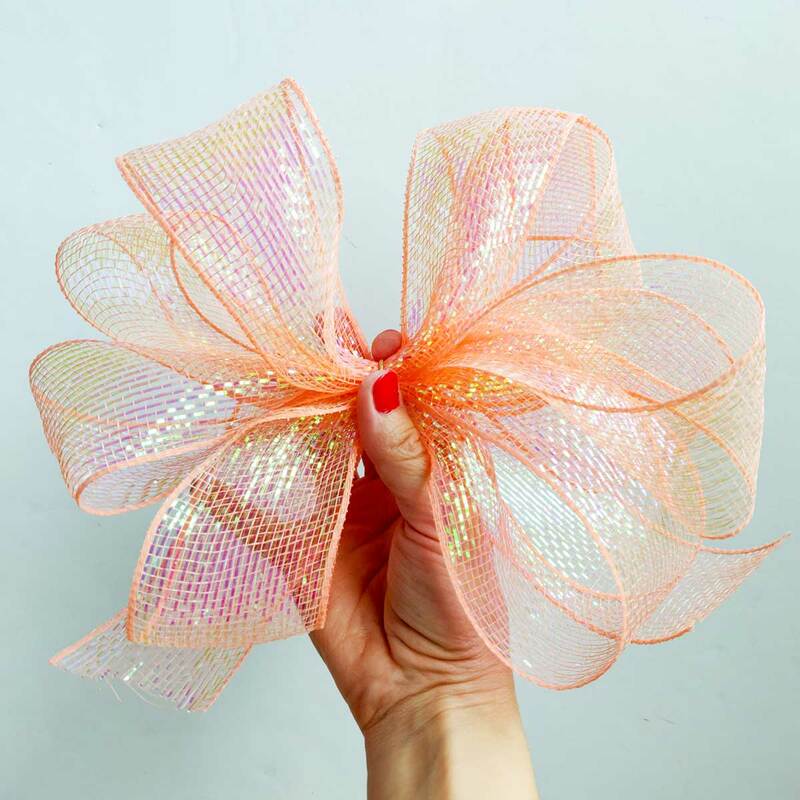 I made this bow by looping the ribbon around nine times in a figure eight pattern while holding the middle tight. I wrapped the middle with more floral wire so it doesn’t come loose. You can check out some “how to” videos for this process! 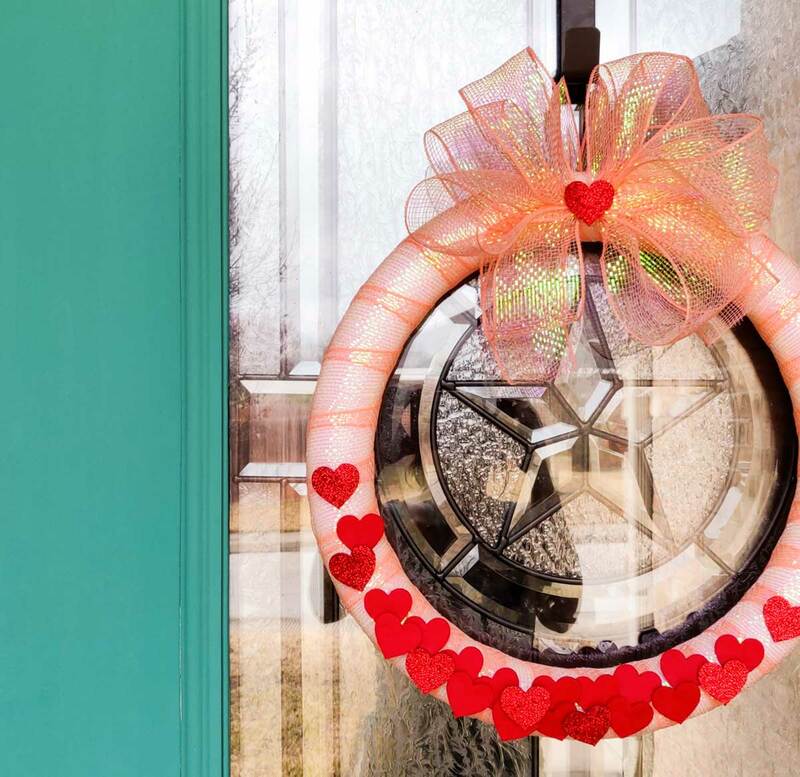 Glue your bow to the wreath wherever you want it. 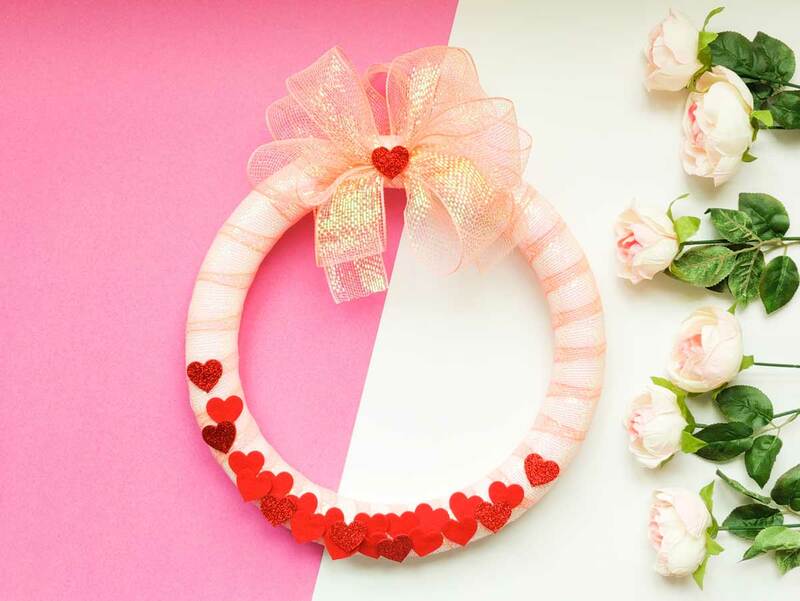 There are so many unique and creative wreaths, there are really no rules on how it should look. Do whatever suits your fancy! 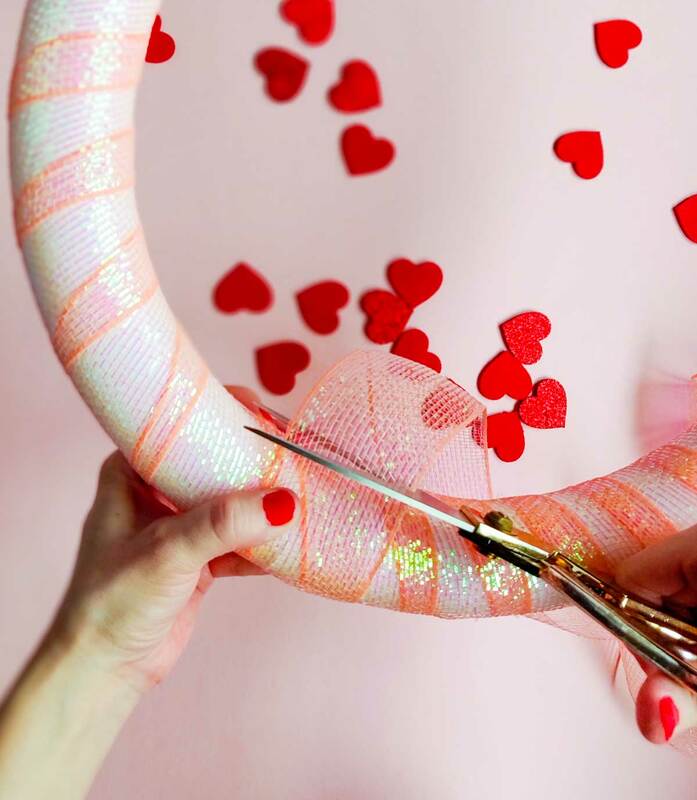 Last, add your confetti hearts and you’re all finished! I was going for a clustered hearts style while spacing them out as they climb up each side.  I like that it’s off center a bit. I’m pretty happy with the outcome! I love the simplicity and minimalist look of it. It’s adorable against the turquoise! 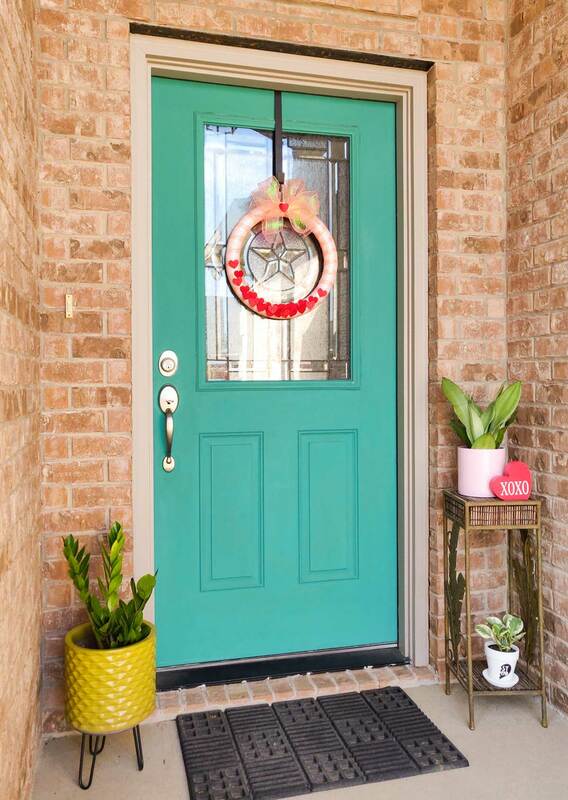 Ever since I painted our entry door, every single holiday decor seems to fit so well with it. We get compliments on the color so often. Painting it this bold was a decision I don’t think I’ll get tired of any time soon. Our entry looks so cheerful and airy. We’re so ready for warmer weather over here. I couldn’t help but break out some spring colors to brighten up the space! Please tag me or share your photos if you make something similar! I’d love to see them. 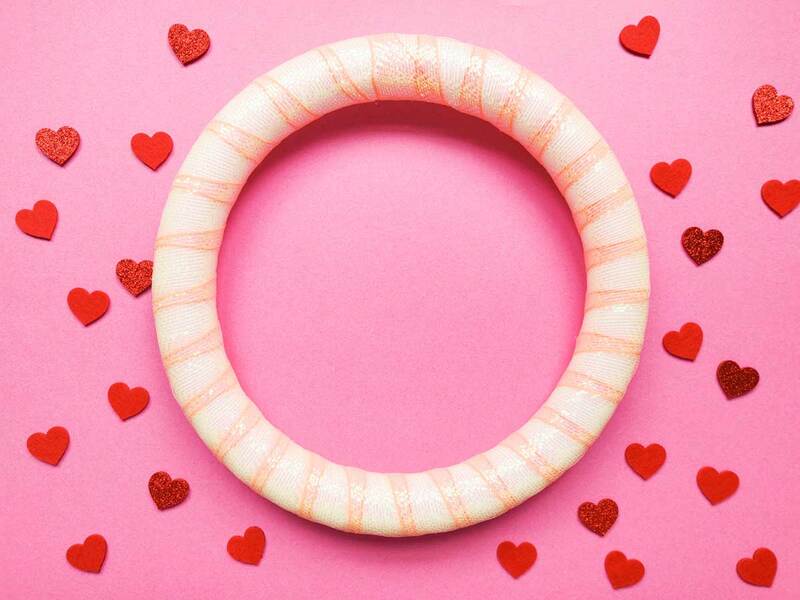 Have a super sweet Valentine’s Day, lovies! Fireplace Makeover: Stone to White!